Jonathan Vincent Voight (; born December 29, 1938) is an American actor. He is the winner of one Academy Award , having been nominated for four. He has also won four Golden Globe Awards and was nominated for eleven. He is the father of actress Angelina Jolie and actor James Haven. Although his output slowed during the 1980s, Voight received critical acclaim for his performance as a ruthless bank robber in Runaway Train (1985). During the 1990s, Voight made somewhat of a comeback, starring in Michael Mann‘s cult classic Heat (1995) opposite Robert DeNiro and Al Pacino. He portrayed the antagonists in Mission: Impossible (1996), Enemy of the State (1998), and an unscrupulous showman attorney in Francis Ford Coppola‘s The Rainmaker (1997), which earned him a Golden Globe nomination for Best Supporting Actor. Voight gave critically acclaimed biographical performances during the 2000s, appearing as sportscaster Howard Cosell in Ali (2001) for which he was nominated for an Academy Award, as Nazi officer Jrgen Stroop in Uprising (2001), as Franklin D. Roosevelt in Michael Bay‘s Pearl Harbor (2001) and as Pope John Paul II in the eponymous miniseries (2005). Voight also appears in Showtime’s Ray Donovan TV series as Mickey Donovan, a role that brought him newfound critical and audience praise and his fourth Golden Globe win in 2014. Voight was born on December 29, 1938, in Yonkers, New York, the son of Barbara (ne Kamp; 1910-1995) and Elmer Voight (n Voytka; 1909-1973), a professional golfer. He has two brothers, Barry Voight (born 1937), a former volcanologist at Pennsylvania State University, and Wesley Voight (born March 21, 1940), known as Chip Taylor, a singer-songwriter who wrote “Wild Thing” and “Angel of the Morning.” Voight’s paternal grandfather and his paternal grandmother’s parents were Slovak immigrants, while his maternal grandfather and his maternal grandmother’s parents were German immigrants. Voight was raised as a Catholic and attended Archbishop Stepinac High School in White Plains, New York, where he first took an interest in acting, playing the comedic role of Count Pepi Le Loup in the school’s annual musical, The Song of Norway. Following his graduation in 1956, he enrolled at The Catholic University of America in Washington, D.C., where he majored in art and graduated with a B.A. in 1960. After graduation, Voight moved to New York City, where he pursued an acting career. In 1962, Voight married actress Lauri Peters, who he met when they both appeared in the original Broadway production of The Sound of Music. They divorced in 1967. He married actress Marcheline Bertrand in 1971. They separated in 1976, filed for divorce in 1978, and divorced in 1980. Their children, James Haven (born May 11, 1973) and Angelina Jolie (born June 4, 1975), would go on to enter the film business as actors and producers. Voight was estranged from his children for several years, but they reconciled in 2007 after Bertrand’s death. In the early 1960s, Voight found work in television, appearing in several episodes of Gunsmoke, between 1963 and 1968, as well as guest spots on Naked City, and The Defenders, both in 1963, and Twelve O’Clock High, in 1966. His theatre career took off in January 1965, playing Rodolfo in Arthur Miller‘s A View from the Bridge in an Off-Broadway revival. Voight’s film debut did not come until 1967, when he took a part in Phillip Kaufman’s crimefighter spoof, Fearless Frank. Voight also took a small role in 1967’s western, Hour of the Gun, directed by veteran helmer John Sturges. In 1968 Voight took a role in director Paul Williams’s Out of It. In 1969, Voight was cast in the groundbreaking Midnight Cowboy, a film that would make his career. Voight played Joe Buck, a nave male hustler from Texas, adrift in New York City. He comes under the tutelage of Dustin Hoffman‘s Ratso Rizzo, a tubercular petty thief and con artist. The film explored late 1960s New York and the development of an unlikely, but poignant friendship between the two main characters. Directed by John Schlesinger and based on a novel by James Leo Herlihy, the film struck a chord with critics and audiences. Because of its controversial themes, the film was released with an X rating and would make history by being the only X-rated feature to win Best Picture at the Academy Awards. Both Voight and co-star Hoffman were nominated for Best Actor, but lost out to John Wayne in True Grit. In 1970, Voight appeared in Mike Nichols‘ adaptation of Catch-22, and re-teamed with director Paul Williams to star in The Revolutionary, as a left wing college student struggling with his conscience. Voight next appeared in 1972’s Deliverance. Directed by John Boorman, from a script that poet James Dickey had helped to adapt from his novel of the same name, it tells the story of a canoe trip gone awry in a feral, backwoods America. The film and the performances of Voight and co-star Burt Reynolds received great critical acclaim and were popular with audiences. He also appeared at the Studio Arena Theater, in Buffalo, NY in the Tennessee Williams play A Streetcar Named Desire from 1973-74 as Stanley Kowalski. Voight played a directionless young boxer in 1973’s The All American Boy, then appeared in the 1974 film, Conrack, directed by Martin Ritt. Based on Pat Conroy‘s autobiographical novel The Water Is Wide, Voight portrayed the title character, an idealistic young schoolteacher sent to teach underprivileged black children on a remote South Carolina island. The same year he appeared in The Odessa File, based on Frederick Forsyth‘s thriller, as Peter Miller, a young German journalist who discovers a conspiracy to protect former Nazis still operating within Germany. This film first teamed him with the actor-director Maximilian Schell, who acted out a character named and based on the “Butcher of Riga” Eduard Roschmann, and for whom Voight would appear in 1976’s End of the Game, a psychological thriller based on a story by Swiss novelist and playwright Friedrich Drrenmatt. Voight was Steven Spielberg‘s first choice for the role of Matt Hooper in the 1975 film Jaws, but he turned down the role, which was ultimately played by Richard Dreyfuss. In 1978, Voight portrayed the paraplegic Vietnam veteran Luke Martin in Hal Ashby‘s film Coming Home, and was awarded Best Actor at the Cannes Film Festival, for his portrait of an embittered paraplegic, reportedly based on real-life Vietnam veteran-turned-antiwar-activist Ron Kovic, with whom Fonda’s character falls in love. The film included a much-talked-about love scene between the two. Jane Fonda won her second Best Actress award for her role, and Voight won for Best Actor in a Leading Role. In 1979, Voight once again put on boxing gloves, starring in 1979’s remake of the 1931 Wallace Beery and Jackie Cooper vehicle, The Champ, with Voight playing the part of an alcoholic ex-heavyweight and a young Ricky Schroder playing the role of his adoring son. The film was an international success, but less popular with American audiences. He next reteamed with director Ashby in 1982’s Lookin’ to Get Out, in which he played Alex Kovac, a con man who has run into debt with New York mobsters and hopes to win enough in Las Vegas to pay them off. Voight both co-wrote the script and also co-produced. He also produced and acted in 1983’s Table for Five, in which he played a widower bringing up his children by himself. 1983 also saw Voight slated to play Robert Harmon in John Cassavetes’ Golden Bear-winning Love Streams, having performed the role on stage in 1981. However, a few weeks before shooting began, Voight announced that he also wanted to direct the picture and was consequently dropped. In 1985, Voight teamed up with Russian writer and director Andrei Konchalovsky to play the role of escaped con Manny Manheim in Runaway Train. The script was based on a story by Akira Kurosawa, and paired Voight with Eric Roberts as a fellow escapee. Voight received an Academy Award nomination for Best Actor and won the Golden Globe‘s award for Best Actor. Roberts was also honored for his performance, receiving an Academy Award nomination for Best Supporting Actor. Voight followed up this and other performances with a role in the 1986 film, Desert Bloom, and reportedly experienced a “spiritual awakening” toward the end of the decade. In 1989 Voight starred in and helped write Eternity, which dealt with a television reporter’s efforts to uncover corruption. Well what happened was I was asked to be on Seinfeld. They said: “Would you do a Seinfeld?” And I said, and I just happened to know to see a few Seinfelds and I knew these guys were really tops; they were really, really clever guys, and I liked the show. And so I said “Sure!” and I thought they would ask me to do a walk-on, the way it came: “Would you come be part of the show?” And I said “Yeah, sure I’ll do it.” You know what I mean? Then I got the script and my name was on every page because it was about my car. And I laughed; it was hysterically funny. So I was really delighted to do it. The writer came up to me and he said “Jon, would you come take a look at my car to see if you ever owned it?”, because the writer wrote it from a real experience where someone sold him the car based on the fact that it was my car. And I went down and I looked at the car and I said “No, I never had this car.” So unfortunately I had to give him the bad news. But it was a funny episode. In 1995, Voight played the role of “Nate”, a fence in the film, Heat, directed by Michael Mann, and appeared in the television films Convict Cowboy, and The Tin Soldier, also directing the latter film. Voight next appeared in 1996’s blockbuster film Mission: Impossible, directed by Brian De Palma and starring Tom Cruise. Voight played the role of spymaster James Phelps, a role originated by Peter Graves in the television series. In 1997, Voight appeared in six films, beginning with Rosewood, based on the 1923 destruction of the primarily black town of Rosewood, Florida, by the white residents of nearby Sumner. Voight played John Wright, a white Rosewood storeowner who follows his conscience and protects his black customers from the white rage. Voight next appeared in Anaconda. Set in the Amazon, Voight played Paul Sarone, a snake hunter obsessed with a fabled giant anaconda, who hijacks an unwitting National Geographic film crew looking for a remote Indian tribe. Voight next appeared in a supporting role in Oliver Stone‘s U Turn, portraying a blind man. Voight took a supporting role in The Rainmaker, adopted from the John Grisham novel and directed by Francis Ford Coppola. He played an unscrupulous lawyer representing an insurance company, facing off with a neophyte lawyer played by Matt Damon. His last film of 1997 was Boys Will Be Boys, a family comedy directed by Dom DeLuise. The following year, Voight had the lead role in the television film The Fixer, in which he played Jack Killoran, a lawyer who crosses ethical lines in order to “fix” things for his wealthy clients. A near-fatal accident awakens his dormant conscience and Killoran soon runs afoul of his former clients. He also took a substantial role in Tony Scott‘s 1998 political thriller, Enemy of the State, in which Voight played Will Smith‘s character’s stalwart antagonist from the NSA . Voight was reunited with director Boorman in 1998’s The General. Set in Dublin, Ireland, the film tells the true-life story of the charismatic leader of a gang of thieves, Martin Cahill, at odds with both the police and the Provisional IRA. Voight portrays Inspector Ned Kenny, determined to bring Cahill to justice. Voight next appeared in 1999’s Varsity Blues. Voight played a blunt, autocratic football coach, pitted in a test of wills against his star player, portrayed by James Van Der Beek. Produced by fledgling MTV Pictures, the film became a surprise hit and helped connect Voight with a younger audience. Voight played Noah in the 1999 television production Noah’s Ark, and appeared in Second String, also for TV. He also appeared with Cheryl Ladd in the feature A Dog of Flanders, a remake of a popular film set in Belgium. Voight next portrayed President Franklin D. Roosevelt in 2001’s action/war film Pearl Harbor, having accepted the role when Gene Hackman declined (his performance was received favorably by critics). Also that year, he appeared as Lord Croft, father of the title character of Lara Croft: Tomb Raider. Based on the popular video game, the digital adventuress was played on the big screen by Voight’s own real-life daughter Angelina Jolie. That year, he also appeared in Zoolander, directed by Ben Stiller who starred as the title character, a vapid supermodel with humble roots. Voight appeared as Zoolander’s coal-miner father. The film extracted both pathos and cruel humor from the scenes of Zoolander’s return home, when he entered the mines alongside his father and brothers and Voight’s character expressed his unspoken disgust at his son’s chosen profession. 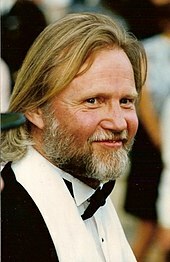 Director Michael Mann tagged Voight for a supporting role in the 2001 biopic Ali, which starred Will Smith as the controversial former heavyweight champ, Muhammad Ali. Voight was almost unrecognizable under his make-up and toupe, as he impersonated the sports broadcaster Howard Cosell. Voight received his fourth Academy Award nomination, this time for Best Actor in a Supporting Role, for his performance. In 2003, he played the role of Marion Sevillo/Mr. Sir in Holes. In 2004, Voight joined Nicolas Cage, in National Treasure as Patrick Gates, the father of Cage’s character. In 2005, he played Pope John Paul II in the second part of CBS’ miniseries, Pope John Paul II. In 2006, he was Kentucky Wildcats head coach Adolph Rupp in the Disney hit Glory Road. In 2007, he played United States Secretary of Defense John Keller in the summer blockbuster Transformers, reuniting him with Holes star Shia LaBeouf. 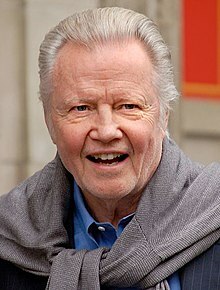 Also in 2007, Voight reprised his role as Patrick Gates in National Treasure: Book of Secrets. In 2009, Voight played Jonas Hodges, the American antagonist, in the seventh season of the hit Fox drama 24, a role that many argue is based on real life figures Alfried Krupp, Johann Rall and Erik Prince. Voight plays the chief executive officer of a fictional private military company based in northern Virginia called Starkwood, which has loose resemblances to Academi and ThyssenKrupp. Voight made his first appearance in the two-hour prequel episode 24: Redemption on November 23. He then went on to recur for 10 episodes of Season 7. He joined Dennis Haysbert as the only two actors ever to have been credited with the “Special Guest Appearance” card on 24. That same year Voight also lent his voice talents in the Thomas Nelson audio Bible production known as The Word of Promise. In this dramatized audio, Voight played the character of Abraham. The project also featured a large ensemble of other well known Hollywood actors including Jim Caviezel, Lou Gossett, Jr., John Rhys-Davies, Luke Perry, Gary Sinise, Jason Alexander, Christopher McDonald, Marissa Tomei, and John Schneider. In 2013 Voight made his much acclaimed appearance on Ray Donovan as Mickey Donovan, Ray’s estranged pseudo-evil crudely charismatic highly persuasively endearing father who brought nothing to his sons’ lives but paranoia, neurosis, and disastrous complications. Under the category Television Series Voight received a Golden Globe Award for Best Supporting Actor Series, Miniseries or Television Film in 2013. In his early life, his political views aligned with American liberal views and he supported President John F. Kennedy, whose death traumatized him. He also worked for George McGovern‘s voter registrations efforts in the inner cities of Los Angeles. Voight actively protested against the Vietnam War. In the 1970s, he made public appearances alongside Jane Fonda and Leonard Bernstein in support of the leftist Unidad Popular group in Chile. However, in later years, Voight adopted conservative viewpoints. In a July 28, 2008 op-ed in the Washington Times, he wrote that he regretted his youthful anti-war activism, calling it the result of “Marxist propaganda”. He pointed in particular to the massive human rights abuses in Vietnam and Cambodia after the American withdrawal. In May 2008, Voight paid a solidarity visit to Israel in honor of its 70th birthday. “I’m coming to salute, encourage and strengthen the people of Israel on this joyous 70th birthday”, said Voight. “This week is about highlighting Israel as a moral beacon. At a time when its enemies threaten nuclear destruction, Israel heals.” On July 28, 2008, he wrote an editorial in The Washington Times critical of then-Democratic presidential candidate Barack Obama.